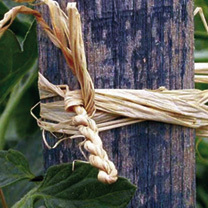 A traditional, 100% biodegradable product for tying plants and other items securely and safely. No gardener should be without it! Natural-coloured. 150g. GARDENING ESSENTIALS PICK & MIX - Buy any three of our gardening essentials below for only £7.00 each!